The Chinese began to use silver as a decorative element in the Spring and Autumn period (770 BCE–476 BCE), and until the Han dynasty (206 BCE–220 CE) the metal was used extensively to create jewelry, luxury implements, and religious vessels. This dish is intricately decorated with a landscape scene of animals on the shores of a lake. 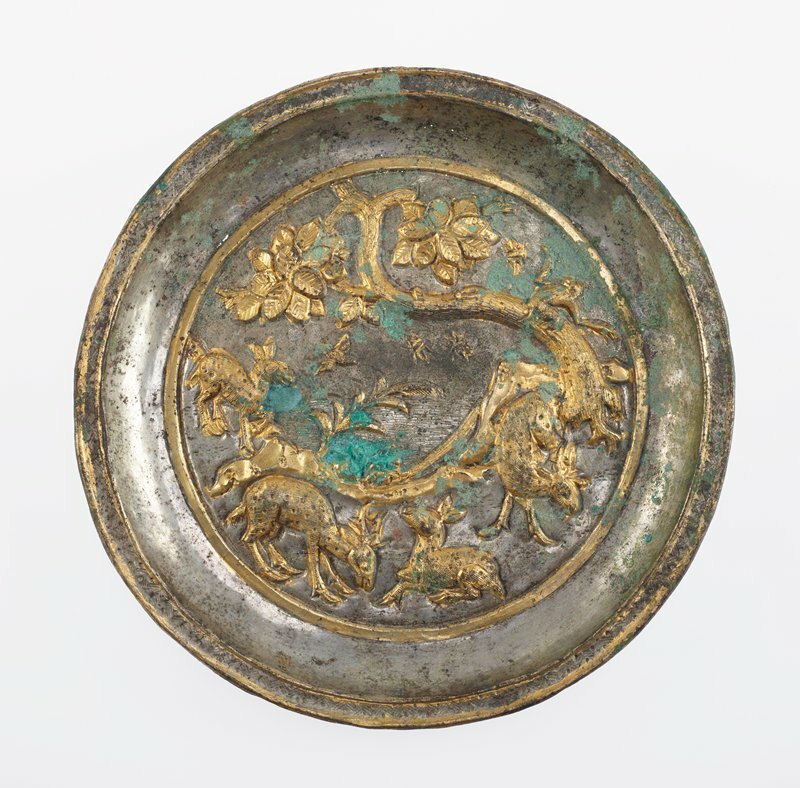 The dish shows the advanced metalworking technique of craftspeople in the Southern Song dynasty. The animals and trees are rendered in repoussé (relief created by hammering the reverse of the object) and chasing, and then gilded with gold leaf.